For additional information about this book, visit the website encouragingleaders.net. 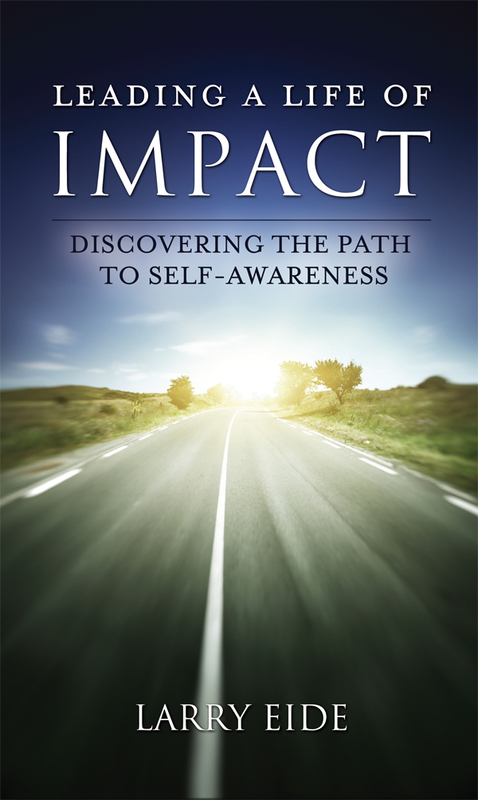 Leading a Life of Impact is not a typical leadership book. It reveals what’s at the heart of becoming the most impactful leader you can be. Other sources have written about leading an impactful life. Yet there’s a missing link in most of these formulas for success. It’s that personal missing link that this book proposes is also absent in many lives and in their ability to lead or influence others. In the pages of this book, author Larry Eide brings the reader to a greater understanding of how to determine what makes each person unique. He addresses fifteen key components to really gaining a fuller self-understanding, drawing upon stories from his own life as well as those of others, also incorporating striking quotes from a diversity of personalities both past and present. Each chapter includes a take-away leadership lesson, questions to be considered by the individual or small group, and suggestions for action steps. By identifying and considering the core components of who you are as an individual, you will be able to discover your own uniqueness and apply it to your unique circumstances. Whether it’s part of your job or a role you play in your community, church, family, or other group, you have a leadership influence on others. In an entertaining, honest and refreshing way, the contents of this book will not only provide a means for better understanding those around you, but will help reveal the real you, increasing your motivation and ability to impact others more effectively. Many authors write about what it takes to be an effective leader and to lead a life of impact. Yet there’s a missing link in most of these formulas for success. Larry Eide believes that missing link to be a holistic and integrated picture of what makes each person unique. He addresses fifteen key components to a greater self-understanding using striking quotes as well as stories from his own life and the lives of others. In the pages of this book, the reader will be helped to discover the special and unique person they are.They will also be helped toward a better understanding of those around them. In an entertaining, honest and refreshing way, the pages of this book will help in revealing the real you, increasing your motivation and ability in leading both yourself and others more effectively. Larry Eide grew up in the Pacific Northwest but has a lifetime of experiences in various U.S. and Canadian organizations and communities, contributing to an increasing understanding of many common challenges in life and leadership. He has been married for thirty-eight years and has four adult children. He therefore has experience leading a family as well as within organizations. His doctoral work through Trinity Western University focused on leadership and spiritual formation.